On Saturday 26th May volunteers at the Raven Trust had the pleasure of meeting Rev Levi Nyondo, General Secretary of the CCAP Synod of Livingstonia, when he visited our store in Strachur. Levi was in Scotland to attend the General Assembly of the Church of Scotland and had a day free before going to Belfast for the General Assembly of the Presbyterian Church of Ireland. Over an alfresco cup of coffee in the sunshine, Levi shared with us a few stories illustrating the importance of the goods arriving in Raven Trust containers for the people of northern Malawi – the hardship relieved by the gifts of clothes, blankets and household goods and families helped to make a living through gifts of sewing machines and materials and tools. Some supporters in Pitlochry have sent out many second-hand reconditioned bicycles which are used by clinic staff and by minsters to get about their parishes. recently one was delivered to a minister in a small, remote village and was immediately put to use ti transport a heavily pregnant lady, who was very ill and too weak to walk, to a distant clinic for medical attention. Levi also shared his concern for retired minsters whose once adequate though not generous pension is now worth so little thanks to the effects of inflation and the devaluation of the Malawian Kwacha. Before he left to continue his journey to Ireland, Levi prayed for the work of the Raven Trust and all its volunteers and supporters. The “Robart Laws” – the sister Marine ambulance of the “Good Hope” – is being altered and renovated by John Watt and his team at Macduff Shipyards. On the 13th July it will be loaded into a container on the first stage of its journey to Lake Malawi. Along with the new boat will go boxes of goods for Livingstonia, Mlowe and the lakeside communities AND a donated dental suite including chair and ancilliary equipment. 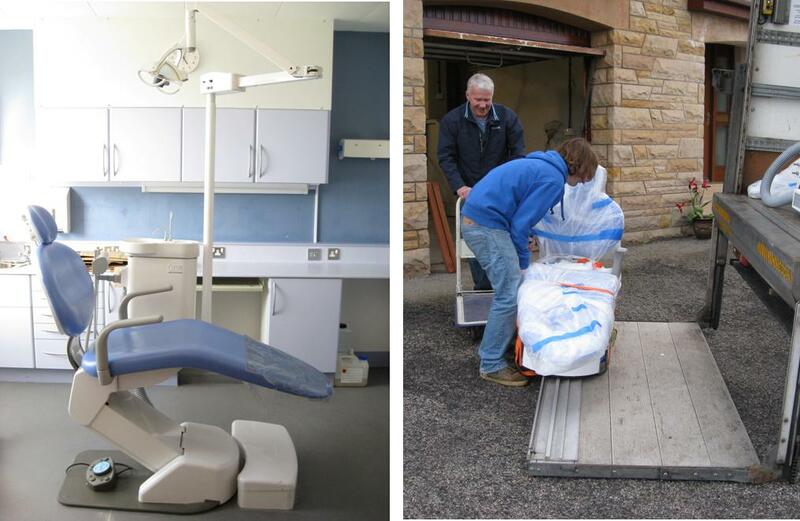 The dental equipment will be fitted in the new dental facility at Ekwendeni. John, more used to handling ships engines, generators etc., has been to collect the equipment and has agreed to store it in his garage until the container is ready to load. Thanks again, John. 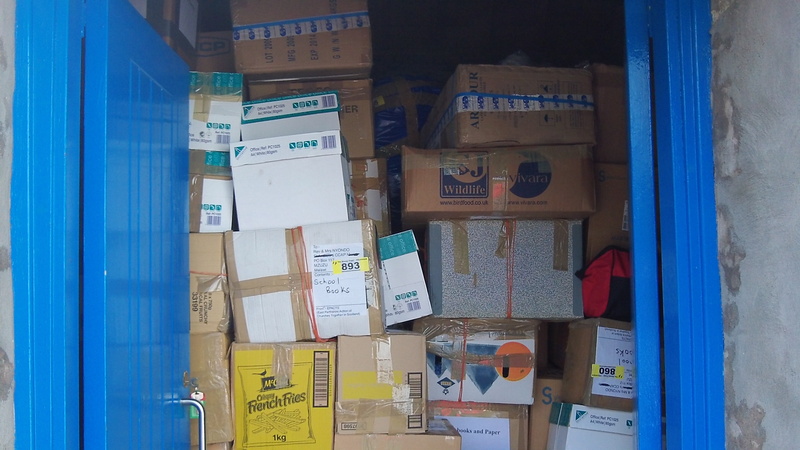 The next container to be loaded at Strachur on 26th June (FCL80) is over-subscribed and we are unable to “squeeze in” any more boxes. The following container (FCL 83), due to be loaded in November, is about 1/3 full already and our secondary store is completely full. We are, therefore, unable to recieve any more boxes until the beginning of July, after FCL80 has left.